Once, an English teacher shared with me a website where you can see how certain words are used with others. For instance, you would see the type of words with which "mandatory" and "compulsory" are commonly used and also the frequency of each pair. 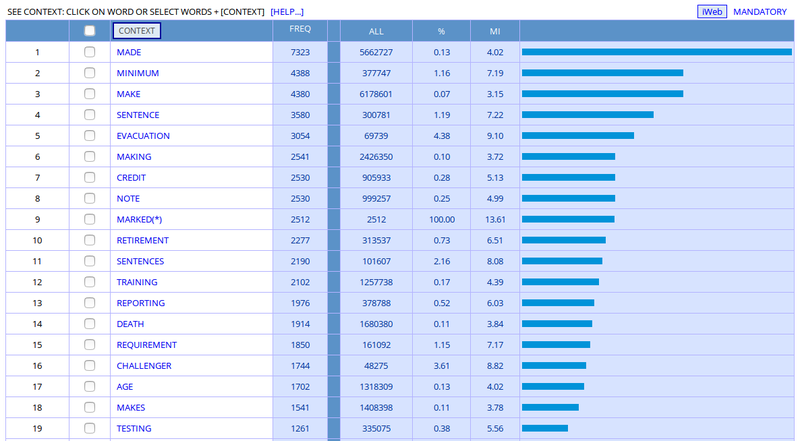 This is a great tool to understand how people use words in a language that isn't yours. However, I can't remember the website. Do you know one that gives the possibility to do such research? Some of the BYU corpora provide the function you want. The BYU interface, and the concepts involved, may present you with a steep learning curve, but the tools there are powerful. All features and the methodology are documented at the BYU site, although it may take you a while to find what you're looking for. 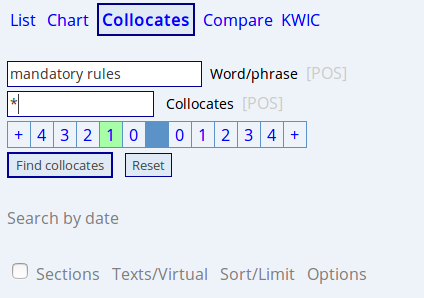 Note that the asterisk in the entry box next to "Collocates" can be replaced with a given collocate of interest. 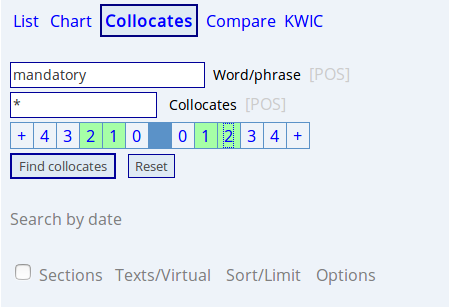 If you're interested in "the types of words" with which a given word is commonly used, rather than simply the words with which a given word is commonly used, you can select a part-of-speech from the dropdown list produced by clicking the "[POS]" next to "Collocates". Google n-grams viewer provides some of that information. It shows the frequency with which 1, 2, 3 and 4 word combinations appear in a corpus of books, and additionally, shows the frequency against the year of publication of the books. One can also search for wildcards. Strangely enough, the first link to NGrams has links to google books search of examples and the second one, limited to nouns, does not.